English is our first language here at Txt2Give, but we know there are many people out there for whom this isn’t true. We want text giving to be accessible for them, too. That’s why we’re happy to announce that Txt2Give has now been translated in Spanish and French! Does your church speak Spanish or French? Or is there a special service time dedicated to one of those languages? Does your non-profit need to reach supporters who’s primary language isn’t English? 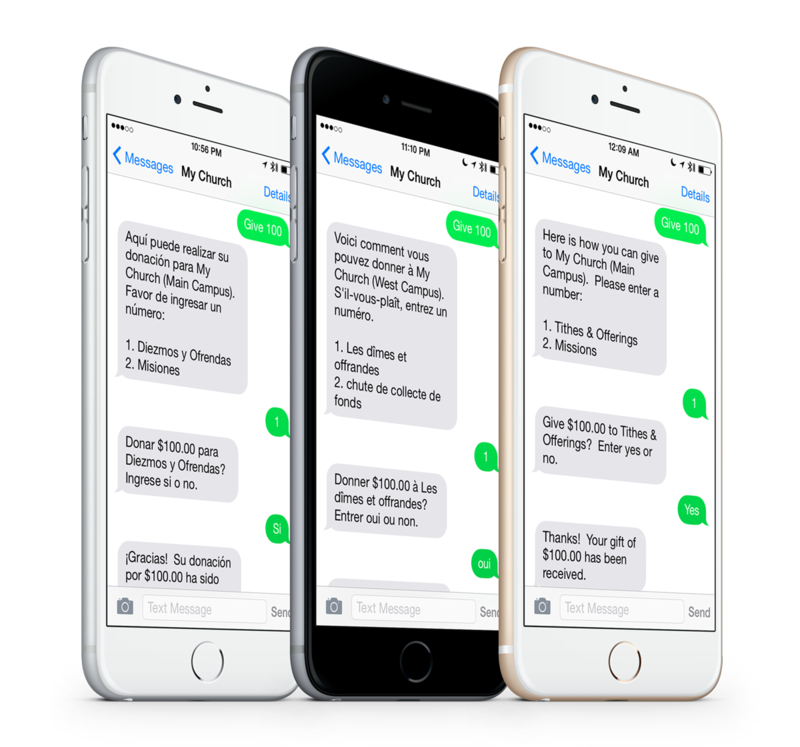 You can now have a text to give option that communicates to your donors in their natural language. If you know of a church or non-profit that speaks a language other than English that would like to use Txt2Give as a quick and convenient option for giving, please let them know we can help them! Spanish and French are just the beginning. If your organization caters to donors that speak a language that we don’t currently support, get in touch through email, reach out on Twitter @txt2give, or reply below about getting your language added to the list of supported languages.